As the automotive ecosystem rushes toward autonomous, commercial trucks are keeping lock step. As the automotive ecosystem increases efforts across the board including commoditization as part of the ramp to autonomous vehicles, the news feed is replete with examples. 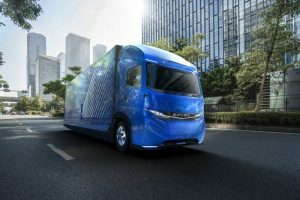 In the area of big trucks, Mitsubishi Fuso Truck and Bus Corporation (MFTBC), part of Daimler Trucks, said at the recent Tokyo Motor Show that it would electrify its complete range of trucks and buses in upcoming years. For some time, industry pundits have proposed that the adoption of autonomous vehicles is tied to that of electric vehicles — thus the focus of Daimler here, I’m guessing. 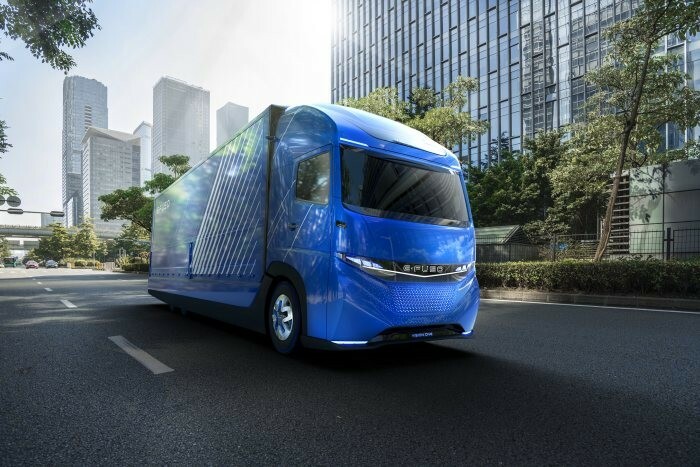 This announcement caught my eye because not only is this an all-electric truck, it is rated for heavy-duty use with a range of up to 350 kilometers. Imagine the battery pack in that truck! Given that Daimler has been actively touting its autonomous work, via its Freightliner division, it seems reasonable — and smart — they could leverage the R&D between different divisions of the company to keep up with other traditional commercial truck companies working on autonomous platforms, in addition to new entrants such as Uber, Google, Tesla, and others. However, this road may be a long one, even thought the self-driving bill was approved by the U.S. House of Representatives, given the myriad issues yet to be solved including legal, financial, insurance, not to mention the technology. Other interesting roadblocks in the automotive sector in general of late from Singapore making it even harder to buy a car, to London taxing people with older, highly polluting vehicles. With the flurry of activity around electrification and autonomous vehicles still barreling down the highway at breakneck speed, resolving the outstanding issues to make safe, autonomous driving is going to keep everyone busy for some years to come.